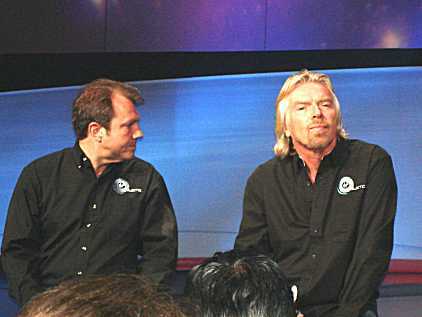 This took place at the Wired NextFest at the Javits Convention Center in New York on 27 september - 1 October 2006. 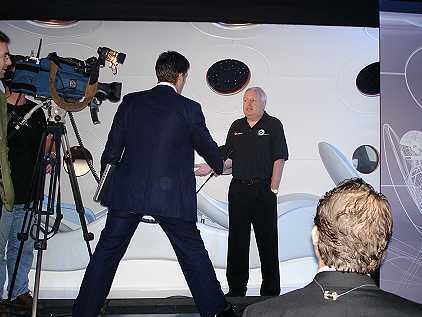 I had the pleasure of attending this event. 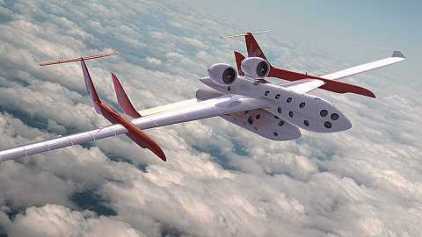 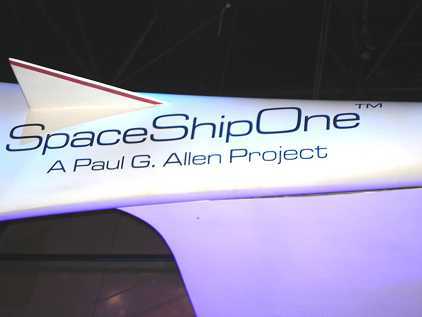 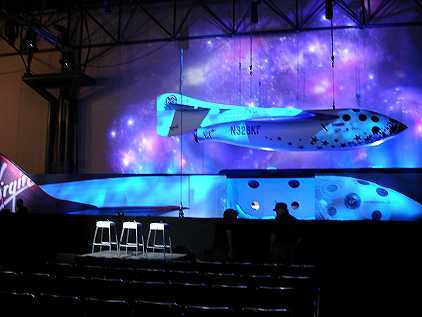 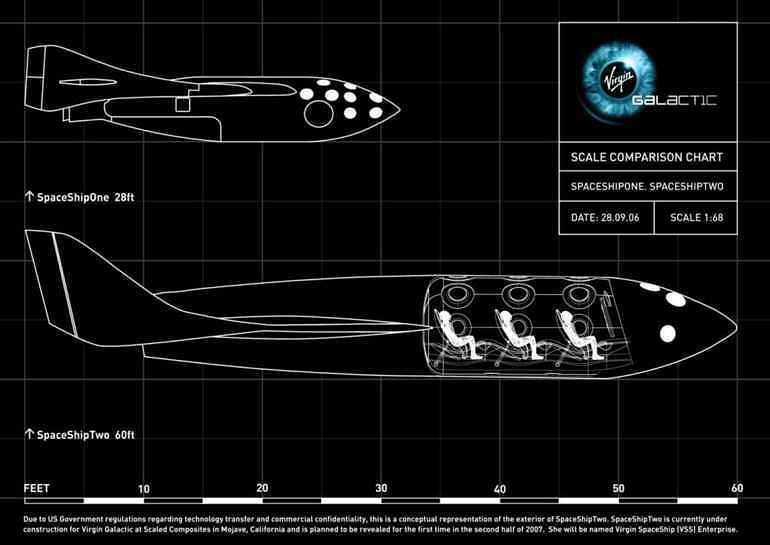 The first flight model of Virgin Galactic's SS2 will be revealed in the fourth quarter of 2007. 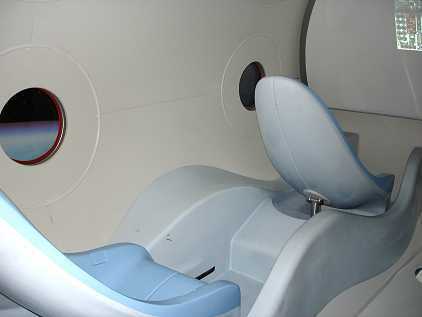 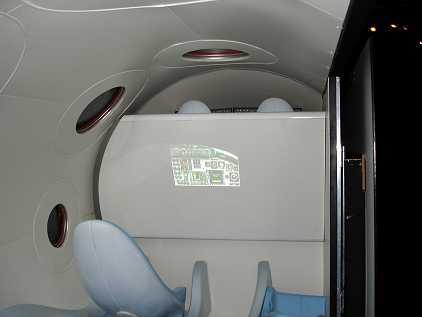 The cockpit is behind the partition A mechanism changes the tilt of the seats depending on flight phase. 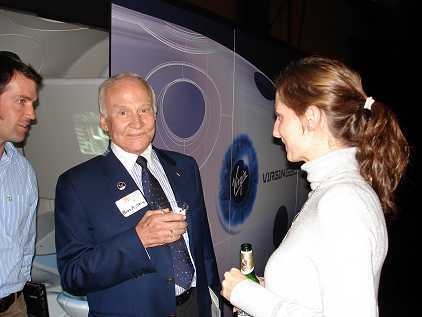 Buzz Aldrin was there too! 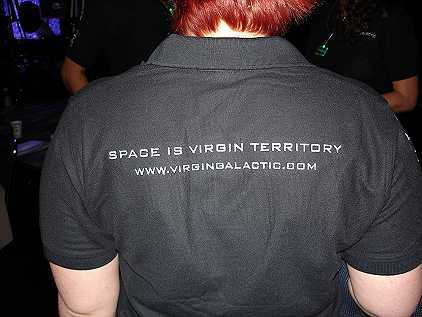 A daring slogan!